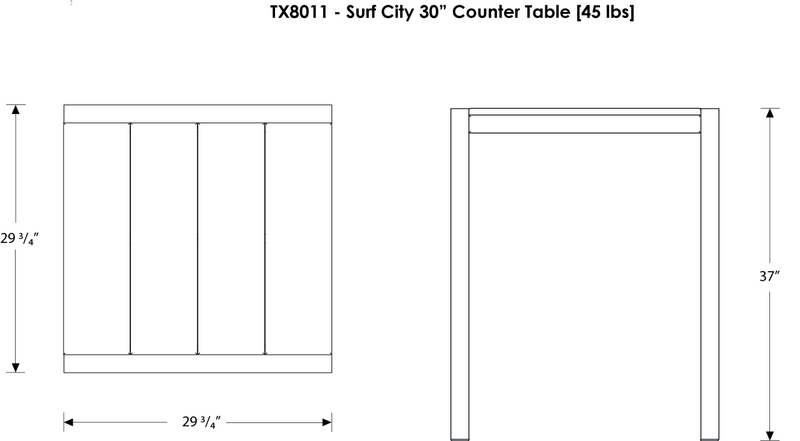 If you're looking for an outdoor table that offers the perfect balance between contemporary flair and relaxed simplicity, then you'll love the sophisticated yet unpretentious design of the Trex® Outdoor Furniture™ Surf City 30" Counter Table. 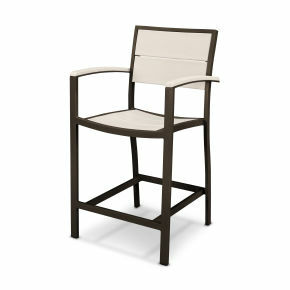 Perfect for sharing drinks or an intimate dinner, this table really brings people together. And since it's constructed of a sturdy, powder-coated aluminum frame and durable HDPE recycled lumber slats, you can spend more time enjoying the company and less time worrying about maintaining the furniture. 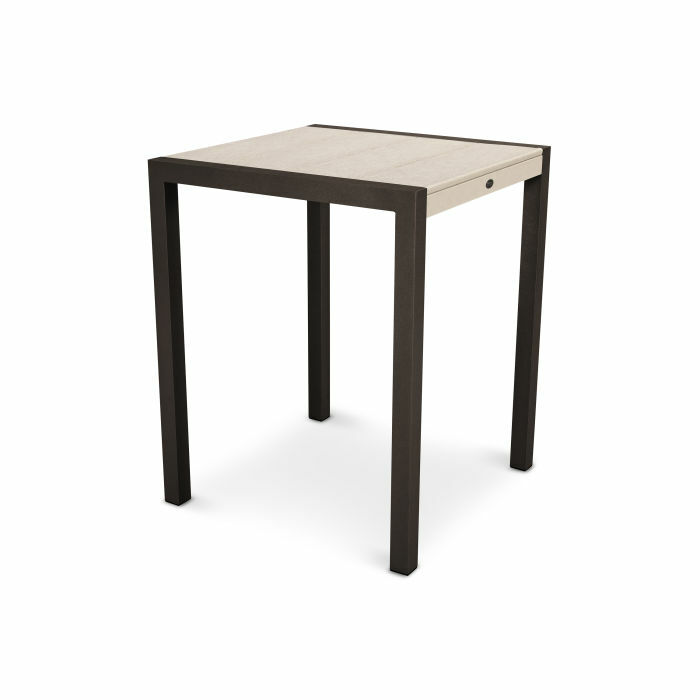 Here's something else you don't have to worry about—this eco-friendly table is made right here in the USA and comes with a 20-year warranty. 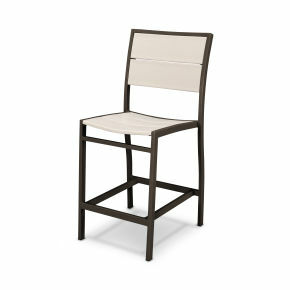 Choose from several fade-resistant frame and slat color combinations to create just the right look for your outdoor entertaining area.